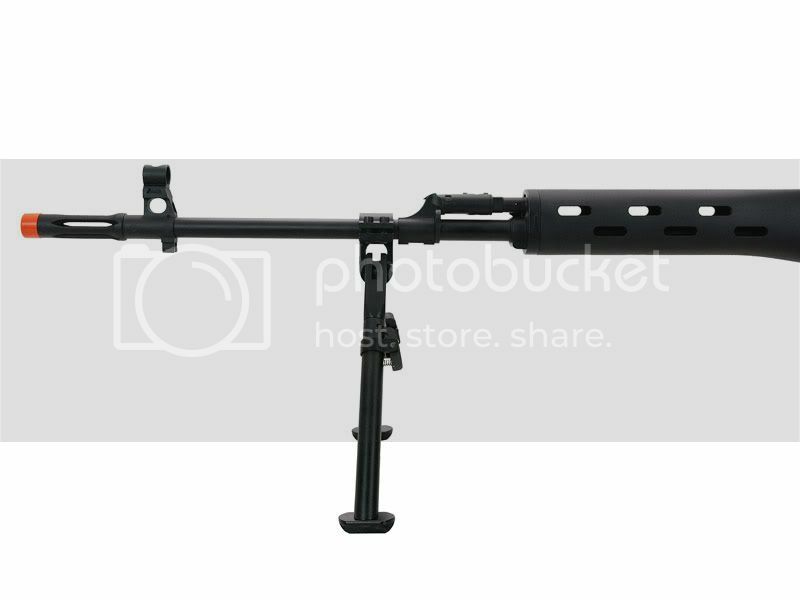 We recently restocked on the A&K SVD Dragunov and the AOE scope and bipod package that comes with this gun. 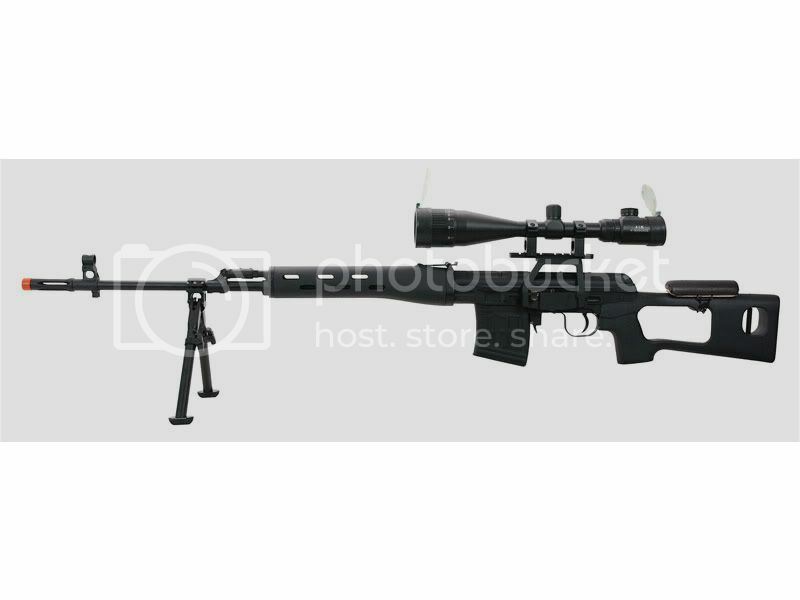 This is a spring action airsoft sniper rifle that easily pushes 500+FPS and is even capable of 600+ FPS with our upgrades. 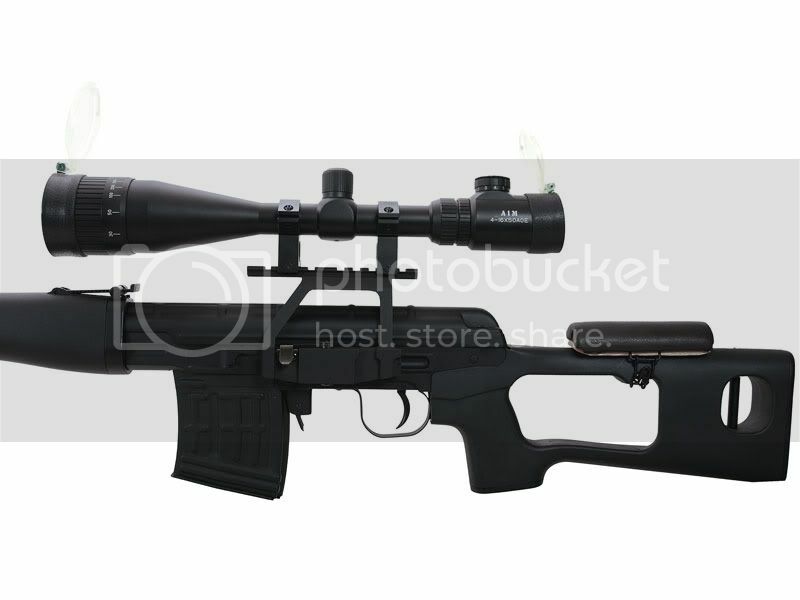 The standard Dragunov and bipod/scope package goes for only $260.00. The Dragunov is a famous sniper rifle based off the AK platform that is still in use and popularized by many video games. The AOE scope we include has a 5x magnification power, and its extra large so you can pick off targets in the distance with greater ease. Click on the picture for more photos and detailed specs about this useful item.